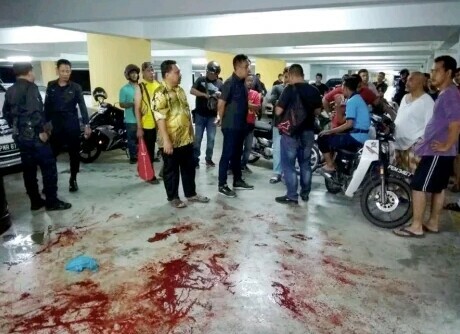 A man suspecting his wife of having an affair chopped off her left hand at a condominium in Bayan Lepas, George Town, Malaysia, on Sunday night, August 12. It is learnt that the 39-year-old man and his 24-year-old wife are in the process of getting a divorce. “However, preliminary investigation found nothing (had been stolen from) the victim, whose hand had been chopped off. She was immediately rushed to the Penang Hospital for treatment,” said Southwest district police chief Superintendent A.A. Anbalagan. Further investigation led police to identify the woman’s husband as the suspect in the attack. “We found a bag and an empty knife box. We believe the knife was used by the suspect in the attack,” he added. Anbalagan said a police team tracked and detained the suspect at 3am today in front of a surau in Maccalum. “The suspect admitted to chopping off his wife’s hand with a knife. He said he did so out of revenge and jealousy, suspecting his wife of having an affair with another man for the past two years,” he added. 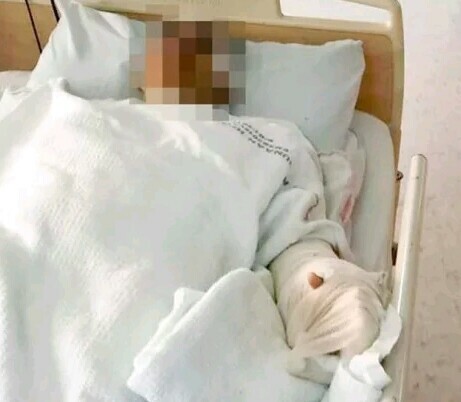 Anbalagan said the suspect had sought treatment at the Balik Pulau Hospital after the attack today, as there had been a struggle with his wife during the incident. Checks showed that the man was previously convicted for two drug-related offences. The case is being investigated under Section 326 of the Penal Code for intentionally causing hurt with a dangerous weapon.